The Division of Student Affairs and Enrollment and Academic Services provides hands-on learning opportunities that help students integrate academic and personal growth. Effective enrollment services and other educational partnerships and programs encourage the development of student leadership, campus involvement, and personal responsibility and accountability and promote the creation of meaningful campus rituals and traditions and an inclusive and supportive learning community. Recognizing that an integral part of the university experience and the individual student’s personal development take place through activities outside the formal classroom setting, the Division of Student Affairs and Enrollment and Academic Services implements programs and services designed to complement the classroom experience and prepare students to be educated and productive members of society. The University also recognizes that whatever affects a student outside the classroom affects the student inside the classroom. Therefore the Division of Student Affairs and Enrollment and Academic Services seeks to accomplish two general goals. The first is to take care of students’ needs by providing the services necessary to support students’ learning environment. The second is to enhance the academic community by providing opportunities to facilitate social, intellectual, physical, and emotional growth; to assist students in becoming actively involved in campus life; to serve as an advocate for student concerns about the University community; and to encourage an environment responsive to individual differences and representative of the diversity of MTSU’s population. The role of the vice president for Student Affairs and vice provost for Enrollment and Academic Services is to manage the division so that the best interests of students, individually and collectively, are always given the priority they merit. Although the average student has little actual contact with the vice president and vice provost, Dr. Debra Sells, it is vital for every student to recognize that Dr. Sells is his/her advocate and that every student has a right to meet and seek assistance. Services and activities of the division may be considered in four major categories—student life programs, student involvement and leadership, academic services, and enrollment services. Contact the Office of the Vice President for Student Affairs and Vice Provost for Enrollment and Academic Services at (615) 898-2440 or visit www.mtsu.edu/stuaff/. More than 3,000 students in 16 residence halls and apartments make their homes on the MTSU campus. While every living area is unique, each offers a community that supports academic excellence at the University. Professional staff and student leaders live and work in the halls, coordinating services and programs that help students achieve success both in and out of the classroom. Referrals to academic support services on the campus, access to computing facilities, opportunities for student leadership training, participation in recreational activities, and availability of a listening ear are just a few of the services available to students living in the residence halls and apartments. Additional information regarding specific living-learning communities can be found at www.mtsu.edu/housing/livelearn.shtml. Living options include traditional halls with shared baths, exterior-entry buildings with suite-style baths, and two- and four-person and family apartments. Communities range in size from fewer than 100 residents in Rutledge Hall to up to 400 residents in Corlew and Cummings. Eight computer labs in on-campus halls and apartments provide residents with convenient access to personal computing. Personnel at 24-hour desks in several areas of campus assist students and guests by providing reception services, information, and assistance with security procedures. Lounges and lobbies within the halls are designed for conversation, studying, and recreation. All rooms and apartments are air-conditioned and include basic cable and all utilities. Laundry facilities are available within each complex or hall. Additional information regarding on campus accommodations can be found at www.mtsu.edu/housing/oncampus.shtml. When a student is accepted for admission to the University, he/she does not receive a room or apartment automatically. Rooms and apartments may be reserved only by filing an application and appropriate prepayment with the Housing and Residential Life Office. To apply for residence halls, on-campus apartments, and family student apartments, complete an MTSU Application for Housing and Residential Life and return it with the required fees to MTSU Housing and Residential Life, Middle Tennessee State University, P.O. Box 6, Murfreesboro, TN 37132. Applications may be completed online at www.mtsu.edu/housing/apply.shtml. Housing assignment priorities are based on the date of application; due to the demand for on-campus housing and limited amount of space available, the University is unable to guarantee housing for all students. Completed applications, signed by the student, indicate acceptance of the terms and conditions outlined in the Housing License Agreement. Please be aware that the agreement is for a full academic year, including both fall and spring semesters. Student agrees to accept accommodations assigned or to cancel and accept prepayment forfeitures as outlined in the license agreement. Housing and Residential Life’s License Agreement can be found at www.mtsu.edu/housing/pdfs/License_Agreement.pdf. Housing and Residential Life creates living-learning communities which promote personal and academic growth among a diverse student body. See above for more information or visit www.mtsu.edu/housing/index.shtml. Judicial Affairs and Mediation Services strives to promote a learning environment that is safe, positive, and in which the rights of all members of the campus community are respected. Supporting the larger mission of both Middle Tennessee State University and the Division of Student Affairs, we seek to promote student learning, growth, and development by increasing awareness of the University’s expectations of behavior, holding students accountable for violations of these expectations, and developing educational sanctions designed to help students learn from their mistakes. We strive to help students at MTSU see both the immediate consequences and the long-term consequences of their behavior. For more information, contact Judicial Affairs and Mediation Services, (615) 898-2750, or visit www.mtsu.edu/judaff/index.shtml. 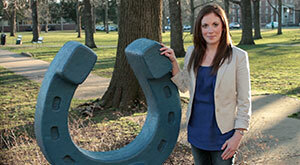 New Student and Family Programs provides a variety of services to MTSU students relating to student involvement. For more information about Welcome Week, CUSTOMS, Family Weekend, Parents Association, and the Distinguished Lecture Fund, contact New Student and Family Programs, (615) 898-2454, or visit www.mtsu.edu/nsfp/. Student Health Services ensures the delivery of affordable, accessible and high quality health care integrated with the promotion of lifelong wellness for MTSU students. A prepaid student health fee covers the cost of basic office visits, and an on-site Pharmacy provides access to over-the-counter and prescription medication. For more information about student health services and student health insurance, contact Student Health Services, (615) 898-2988, or visit www.mtsu.edu/healthservices/index.shtml. The MTSU Student Union provides convenient, high-quality facilities and efficient services to support University programs and community. The Union acts as both a facility and a program designed to enhance campus life and advance the University’s educational mission. These facilities include a ballroom, dining rooms, a movie theater, numerous meeting rooms, catering services, a self-service bookstore, post office, a mini-market, several Division of Student Affairs offices and student lounges. For more information, contact the Student Unions and Programming Office, (615) 898-2590, or visit www.mtsu.edu/mtunions/index.shtml. 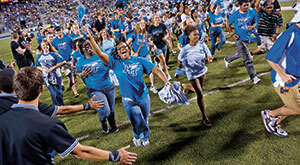 The students involved with MTSU Student Programming choose what programs and major events are brought to campus. There are no dues or fees required to be involved with MTSU Student Programming. The only requirements are being a student in good standing with the University and having a simple interest in bringing entertainment to MTSU. For more information, contact the Student Unions and Programming Office, (615) 898-2590, or visit www.mtsu.edu/events/index.shtml. Greek Affairs at Middle Tennessee State University advises 30 fraternities and sororities on campus governed by the Interfraternity Council (IFC), the Multicultural Greek Council (MGC), the National Pan-Hellenic Council (NPHC), and the Panhellenic Council (PHC). For more information, contact Greek Affairs, (615) 898-5812, or visit www.mtsu.edu/greeks/index.shtml. The Intercultural and Diversity Affairs Center promotes cultural awareness, understanding and a sense of belonging for all students at MTSU. For more information, contact the Intercultural and Diversity Affairs Center, (615) 898-5812, or visit www.mtsu.edu/idac/index.shtml. The June Anderson Center for Women and Nontraditional Students provides student support services conducive to learning and personal development for both women students and for the adult students who generally work fulltime, are married, have children, and other adult responsibilities beyond their college experiences. The center provides information and referrals about all aspects of academic and social life. For more information, contact June Anderson Center for Women and Nontraditional Students, (615) 898-5989, or visit www.mtsu.edu/jac/index.shtml. Leadership development at MTSU promotes a comprehensive array of both classroom and cocurricular opportunities designed to enhance personal growth, leadership skills, and community involvement. For more information, contact Leadership and Service, (615) 898-5812, or visit www.mtsu.edu/mtleader/index.shtml. 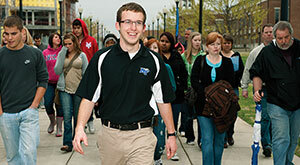 MTSU offers a variety of ways for students to volunteer on campus and in the Rutherford County community. Students may choose to join a community service-based student organization and participate in group or individual volunteer work as their schedules permit. For more information, contact Leadership and Service, (615) 898-5812, or visit www.mtsu.edu/mtleader/service/index.shtml. MTSU students with common interests are encouraged to join together and realize the social and professional benefits to be gained by the exchange of ideas and development of interpersonal relations through participation in student organizations. For more information, contact Leadership and Service, (615) 898-5812,or visit www.mtsu.edu/camporgs/. The Career Development Center (CDC) is a comprehensive center serving all departments and colleges of MTSU with career exploration, on-campus recruiting, and job searching. 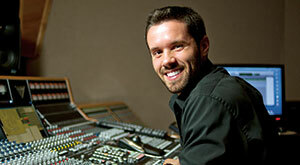 For more information, contact the Career Development Center, (615) 898-2500, or visit www.mtsu.edu/career/index.shtml. Counseling Services offers personal counseling, assisting students in their emotional, intellectual and social growth. While we strive to be available to all students needing these services, we assume special responsibility for those in need of immediate assistance. Our goal is to understand students’ concerns and to develop and implement counseling plans that respond to their needs as effectively and expediently as possible. Counseling Services also coordinates the University’s testing program, offering such standardized tests as the CLEP, ACT residual, the PRAXIS series, and others. For more information, contact Counseling Services, (615) 898-2670, or visit www.mtsu.edu/countest/index.shtml. The Student-Athlete Enhancement Center is committed to a comprehensive program of life skills that provides educational experience and services in order to: assist the student-athlete in meeting the academic requirements established by Middle Tennessee State University and the National Collegiate Athletic Association (NCAA); to develop well-balanced lifestyles for student-athletes; to encourage growth in decision-making, planning and fulfillment of career and life goals; and to enhance the quality of the student-athlete experience within the university setting. For more information, contact the Student Athlete Enhancement Center, (615) 904-8492, or visit www.mtsu.edu/saec/index.shtml. A federally funded TRIO program, Student Support Services (SSS) provides academic counseling, tutoring, academic workshops, and cultural events to full-time undergraduate students who have a verified academic need and meet at least one of the following criteria: first-generation college student (neither parent has earned baccalaureate degree), income-eligible per federal guidelines, or have a documented disability. Grant scholarships may be available to full-time sophomore students who also receive the Pell grant. Student Support Services works with students to increase their academic success in persisting to graduation and helps participants to achieve their educational goals. For more information, contact Student Support Services, (615) 898-5443, or visit www.mtsu.edu/ssupport/. The Undergraduate Admissions office provides information to prospective freshmen and transfer students on admission to the University, required test scores, and other required credentials. The office also serves reenrolling students (those who previously attended MTSU). For more information, contact the Admissions Office, (615) 898-2111, or visit www.mtsu.edu/admissn/. Trying to pay for a college education is not a simple task. Financial aid and scholarship opportunities have become critical factors in selecting the college or university of your choice. While MTSU considers the family a primary resource for funding a student’s education, most families require some type of assistance. Every effort is made to assist you and your family in obtaining the financial resources necessary to meet the difference between attending the university and your ability to contribute toward your education. For more information, contact Financial Aid, (615) 898-2830, or visit www.mtsu.edu/financialaid/index.shtml. The Records Office and Scheduling Center provide a wide range of services, resources and information for Middle Tennessee State University students, faculty, staff, and alumni. The Records Office is responsible for maintenance of student records, provision of transcripts, certification of student enrollment, and certification of degrees for all undergraduate degree candidates. The Records Office also certifies for benefits and monitors enrollment of U.S. military veterans. The Scheduling Center provides services in registration and scheduling space for academic courses and course-related events. For more information, contact Records, (615) 898-2600; contact Scheduling, (615) 898-5800, or visit www.mtsu.edu/records/.